SAN FRANCISCO, June 12, 2018 /PRNewswire/ -- E.ON today announced it has entered into a long-term power purchase agreement (PPA) for 50 megawatts (MW) from its West of the Pecos solar project with the SK E&S LNG, LLC, a subsidiary of SK E&S Co., Ltd., one of the largest energy companies in South Korea. 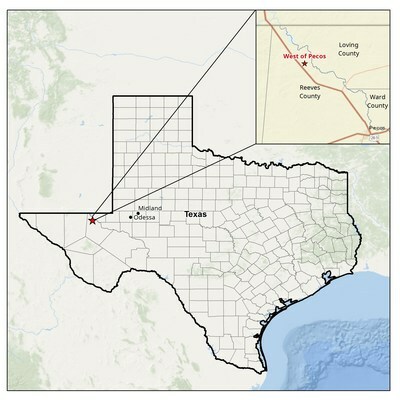 West of the Pecos is a 100 MW (AC) photovoltaic solar project, located in Reeves County, Texas, approximately 75 miles southwest of Midland-Odessa. "We're excited for the opportunity to advance our first solar project in Texas," said Silvia Ortin, Chief Operating Officer, North America. "Our 20-year agreement with the SK E&S confirms our ability to create clean reliable energy projects across technologies, that will also provide a boost to the local economy through job creation." West of the Pecos is expected to come online in 2020 and will consist of more than 350,000 photovoltaic panels. E.ON expects approximately 700 jobs will be created during the construction of the project. "We are very proud of this achievement in a very competitive market environment," said Nathanaël Esposito, President Solar & Storage, North America. "Partnering with customers such as the SK E&S demonstrates the quality of our team and projects as we deliver on our plan to significantly increase our solar presence in the US." E.ON's global experience enables it to develop and deliver quality, economical large-scale solar projects to meet growing customers' demand for clean power at a stable long term price. The company has developed, built, and operates more than 3,600 MW of solar and wind renewable generation as well as battery energy storage across the U.S., with more on the way. E.ON also offers O&M and asset management services to third party owner/operators looking for "Service with an Owner's Eye." E.ON is an international investor-owned energy company, focusing entirely on energy networks, customer solutions and renewables. In the 2017 financial year, more than 40,000 employees from 90 nations generated sales of around $42 billion. Around 32 million customers purchase gas and electricity from E.ON. Within the global renewables segment E.ON is a leading company. The company has already invested more than $11 billion and operates nearly 5.4 gigawatts of renewable capacity. SK E&S is an affiliate of SK Group, one of the country's top three industrial conglomerates, with more than 75,000 employees through a network of 96 affiliates and 265 global corporations in over 40 countries. Securing the largest city gas market share in the nation, SK E&S has completed LNG Value Chain from upstream to downstream and has evolved 'Global Clean Energy and Solution Provider'. The company is focusing on the development of overseas businesses, laying the foundation for its emergence as a comprehensive energy service provider in the global market.